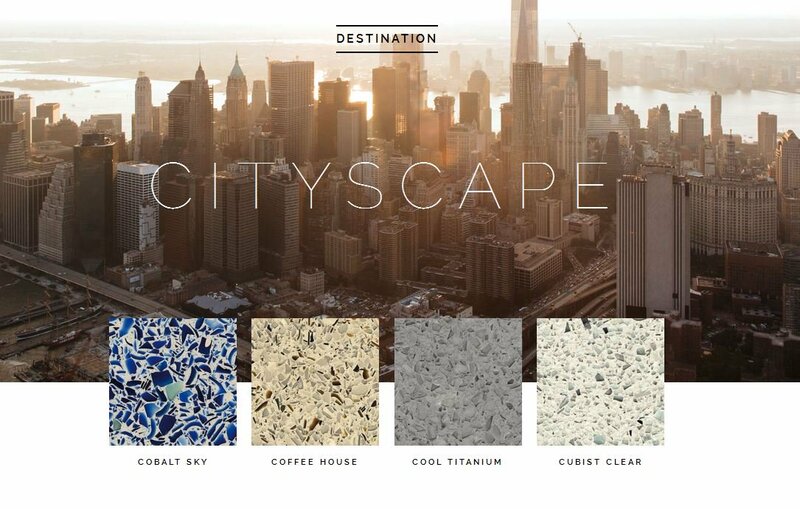 At Vetrazzo we're known for our color. Bright and bold reds, deep, powerful blues and greens, that add energy to spaces. But really, that’s a pixel of our spectrum. We’re also calming aquas and subtle neutrals, ethereal purples and masculine browns. And isn’t that just like you as a designer? You’re more than a signature color or trademark look. We were thinking of you and your design plasticity (that’s right, we said it) recently when we gave our site an overhaul. 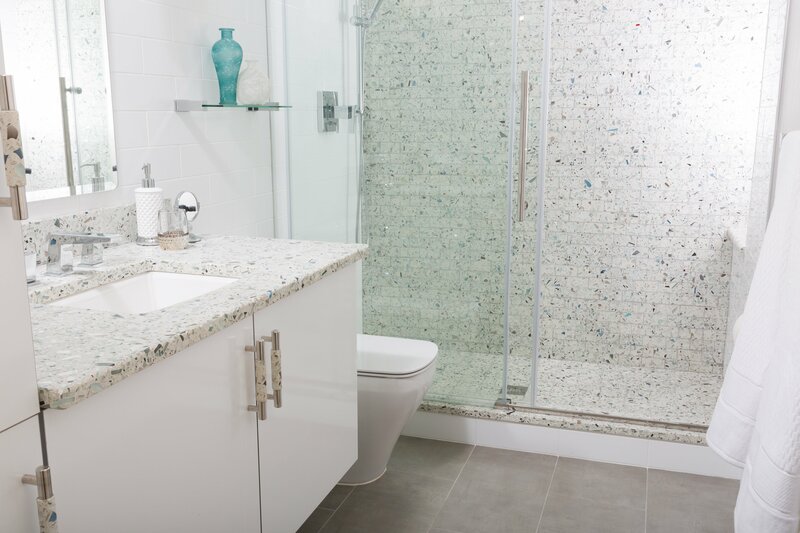 We traded in the brash colors of our past look for something more subtle and refined, more evocative of our luxury recycled glass material. And, more reflective of you and your abilities to play in all the style spaces. Now on our site you’ll see our handcrafted products grouped by style. Zen & Calming. Bold & Beautiful. Chic & Elegant. 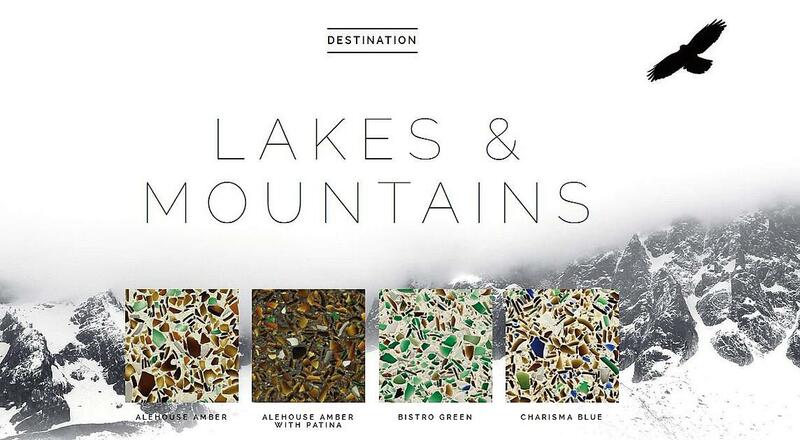 Lakes & Mountains features our earth toned glass slabs like Bistro Green and Alehouse Amber. Click the image for more. Bretagne Blue headlines the coastal vibe of Sea & Sand. (Can't you just smell that salt air?) Click the image for more. You can achieve an urban look with the Cool Titanium Grey found in our Cityscape collection. Click the image for more. 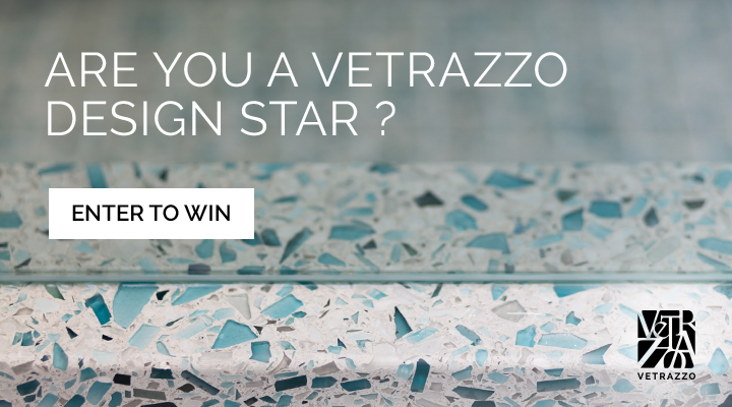 But there’s one more destination that’s only for members of the trade who use Vetrazzo’s recycled glass in their designs. 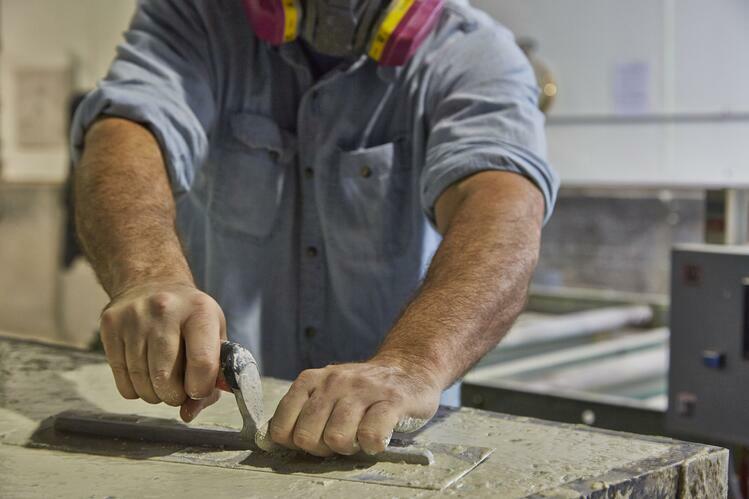 It’s the prize in our 2016 Vetrazzo Design Star Contest: an all-inclusive excursion to our atelier near Atlanta, Georgia to meet the craftsmen who make each of our slabs by hand.  Designers who have completed a Vetrazzo project within the last two years can submit their commercial or residential projects for consideration. Enter here. Winners will see (and feel) how we use shards of glass like Skyy vodka bottles, tail lights and even sea shells to hand craft slabs, and the painstaking process to make them feel as good as they look. 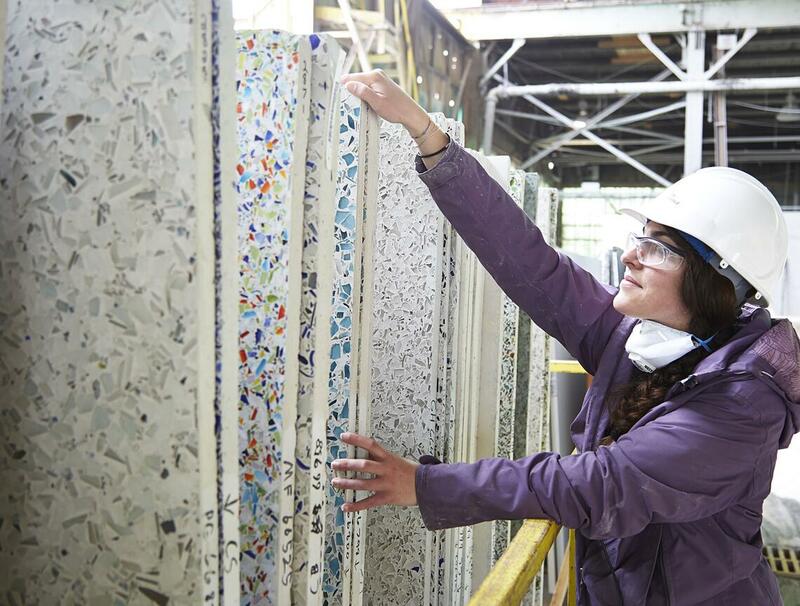 (Did you know it takes eight craftsmen a full day - and four weeks of drying time - to make one single slab of Vetrazzo recycled glass?) You’ll finish off your day with a five-star dinner with our team at one of the area’s best restaurants. What we won’t consider are designs that don’t meet the submission deadline of June 21, 2016. Click the button below to get all the contest details. 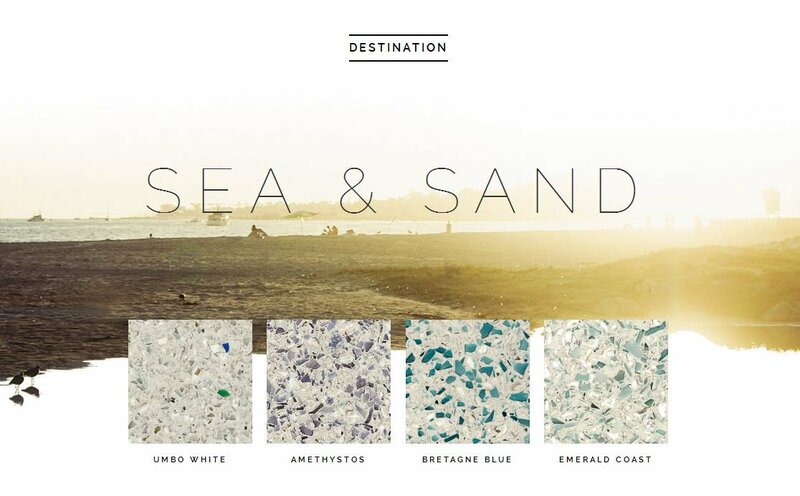 Vetrazzo recycled glass surfaces were born in Berkeley, CA in 1996. Now with 16 of our colors boasting Cradle to Cradle Silver certification, our commitment to sustainability is more transparent than ever.